With the demise of GT Advanced Technologies, one might ask where Apple will get its Transparent Aluminum? 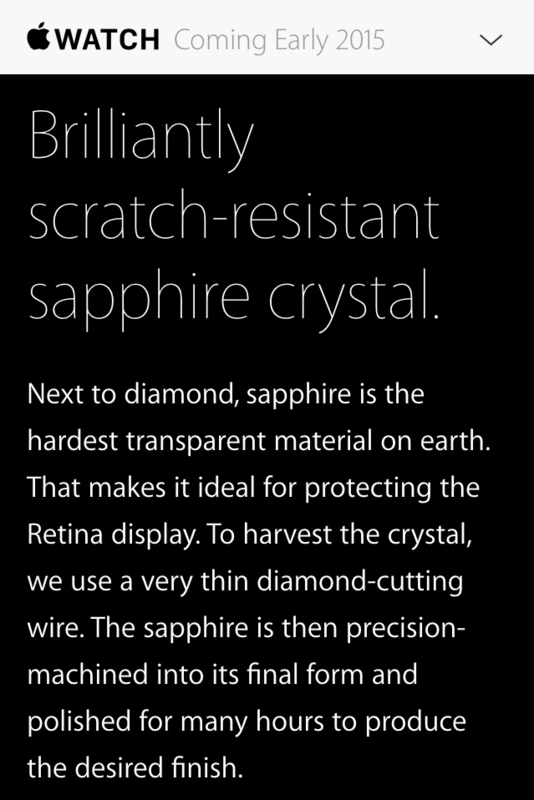 Perhaps more accurately, who is currently supplying Apple with sapphire, since there is some question as to whether GTAT ever got the Mesa Arizona plant up and running. To harvest the crystal, we use a very thin diamond-cutting wire. Pay close attention to the 4:00 minute mark of the following video about Rubicon Technology’s sapphire production. Perhaps Rubicon was and is the manufacturer of the sapphire Apple uses for the camera lens, fingerprint scanner cover, and watch crystal … with Apple planning to transition to GTAT once production was up to quality and capacity. The retina screen on the new iPhone 6 is incredible. Clear, crisp and just plain awesome! In day-to-day use, what do you think of the size? Not bad. I can’t see myself with anything bigger though.